That Was Quite A Doozy That Powertech's Head Honcho Told Last February About Its Pemitting Prospects In The Black Hills. Either Alexander Molyneaux was misinformed or he was lying. Molyneaux is the Chairman of Azarga Resources, the Hong Kong-based mining firm that is in the process of taking control of Canada-based Powertech Uranium, which for years has been seeking to mine uranium in the southern Black Hills on a patch of land called Dewey-Burdock. The "in situ recovery" (ISR) mine, which will affect ground water in the area forever, has been fiercely opposed and subjected to numerous delays, so many that Powertech feared for its own financial solvency as the permitting costs kept dragging on, noting in its financial statement last Fall "that the Company’s focus is furthering its permitting applications at its Dewey-Burdock project. Therefore it will incur future losses which cast significant doubt as to the Company’s ability to continue as a going concern." Enter Molyneaux and his Azarga Resources, the white knights who saved Powertech, its Dewey-Burdock prospects, and its shareholders from a possible total loss of their equity in the company. So confident in the new venture's coming prospects were the new bosses at Azarga that Chairman Molyneaux, in an interview dated last February 26, told the Canadian-based website CEO.CA that "Dewey Burdock is the next ISR mine to be built in the USA. It has the highest grade of all potential projects, and is due for permitting in the next 90 days." Well, 90 days from February 26 makes this coming May 27 the Molyneaux-established target for having its permitting done, which is ridiculous considering that South Dakota state hearings aren't scheduled until next August. I was skeptical. When a permit for the mine was issued by the Nuclear Regulatory Commission three weeks ago, there was much hoopla generated by the Powertech/Azarga public relations honks, but I remained dubious, mainly because the company's stock refused to budge from its measly 7 or 8 cents a share valuation. I mean, it's been nearly a month and the stock yesterday actually traded below its price on the day the NRC news broke. Hard as the company's insiders have tried to tout its prospects, speculators just haven't been buying it. Now comes word today as to possibly why the stock has remained depressed. Three administrative judges on the Atomic Safety and Licensing board just suspended the much-hyped NRC permit. I thought that was big-time breaking news, but apparently it didn't come as all that much of a surprise. In this morning's Rapid City Journal story about it, reporter Joe O'Sullivan made this intriguing note: "The stay, which both uranium supporters and opponents expected, will allow uranium opponents more time to make their case against the proposal." I believe that if the stay of the NRC permit was indeed "expected," Powertech/Azarga completely ignored the prospect of it in its effusive announcement about it earlier this month. Add that to the misinformation about the "90-day" permitting window dished out by Azarga Chairman Molyneaux and you come up with a company whose statements about the prospects of its permit applications for developing Dewey-Burdock are inconsistent with reality. These kinds of public statements can have an effect on share prices as speculators react to company news about its progress on developing the uranium mine in the Black Hills. As a South Dakota resident with an interest in my state's public lands and water resources, I think I'm being reasonable in asking for a clarification. I most certainly offer the comments section of this blog to company spokesmen to give an explanation as to why Powertech/Azarga seems to have been presenting an inaccurate picture of its permitting process and I will duly post word-for-word any statements they issue. That you two courageous and determined ladies had to go to another state to get married because South Dakota, this so-called "land of infinite variety," falls short of its own ideals is a testament to the power and confidence of your lifelong love affair. The news of your nuptials will be met with the mixed greetings that you're prepared to accept, but nobody in this state will be happier or more supportive of your decision to marry than I am. You two are breaking some important political and philsophical ground in South Dakota, but I'm convinced that you have the support of more than a sizable number of residents here. I believe you have the backing of History itself. There will be some who reject your matrimonial status on religious grounds. That's their inalienable right as Americans and I'd be the last to insist that they break with their fundamental religious beliefs, which they're free to exercise in the confines of their places of worship. However, if they seek to deny you the basic freedoms of exercising your rights in the public marketplace, I'll be among the first to push back. Some will use the excuse that by denying you commercial goods and services they're merely exercising their own right to stand by their religious beliefs, but that's a load of baloney. Why? Because as taxpayers in a fundamentally secular community (defined as such by the First Amendment to the Constitution), your share of society's burden is to provide public infrastructure and services that make the operation of any business possible in the first place. The very business that would deny you access is the same one that depends on your share of resources to provide it with streets, sidewalks, water and sewer lines, police and fire protection and the marketing efforts of the city itself to keep that enterprise operating. Given that all of us chip in to keep our communities functioning without qualms about who gets the benefit of our taxes, selectively picking and choosing which customers to serve based on their identities and beliefs is not a prerogative. This is a quid pro quo that is the essential "social contract" among the citizens of any community. Most frustrating to me about those who would circumvent it is the fact that to a one, these folks are in my political party--Republicans. It's as if some of us Pubs have shed the basic principle of Republicanism: "The strength of our nation lies with the individual and that each person's dignity, freedom, ability and responsibility must be honored." It's not "should" be honored, nor "may" be honored--it's "must" be honored. That the Rosenbrahns choose to be married is a choice the two of them made as individuals--it behooves us true Republicans to honor that choice, no matter what we feel about it personally. I think one of the founders of modern conservative Republicanism, Barry Goldwater, expressed it better than I ever could. In his acceptance speech at the 1964 GOP presidential nominating convention Goldwater said "those who seek absolute power, even though they seek it to do what they regard as good, are simply demanding the right to enforce their own version of heaven on earth, and let me remind you they are the very ones who always create the most hellish tyranny." Time for some philosophical soul-searching, fellow South Dakota Republicans? If you're not sure, consider this additional thought from Goldwater's acceptance speech: "The beauty of the very system we Republicans are pledged to restore and revitalize, the beauty of this Federal system of ours is in its reconciliation of diversity with unity." I think it is indeed time for us Republicans to re-evaluate our basic assumptions, and I extend my gratitude, along with my heartfelt congratulations, to Mrs. and Mrs. Rosenbrahn for making this blessed event the catalyst for some long overdue considerations within the local GOP. Powertech Stock Goes Nowhere After Hoopla Over NRC Approval. Company Officials Get Mad At The Rapid City Journal. Lessee, it's been a couple of weeks now since Azarga/Powertech (a merger made in penny stock heaven--I'll just refer to it as "Powertech" here) got approval from the Nuclear Regulatory Commission on its Dewey-Burdock application. Dewey-Burdock is the site in the southern Black Hills where the company wants to set up a uranium mining venture that will contaminate the ground water for probably time immemorial. And yes, I said contaminate forever, because according to the science directed at this "in situ" type of mining, among the risks of the process is "the impossibility of restoring natural groundwater conditions after completion of the leaching operations." To date, approval is based on being able to restore the water to its pre-mining uses, merely making it potable. That means contaminants from the in situ leaching process can remain, so long as they are at levels deemed safe for human consumption. To which I say, yeccchh. I've been around this old planet a few times and I've had my share of water considered safe for human consumption that made me want to gag as I quaffed it. If that's the kind of "potability" that Powertech's footprint will leave in the Black Hills, I join the chorus of those around here who would like the company to get lost. Meantime, I've been following the company's fortunes for the better part of a year now, given how many people I know are fighting tooth and nail to keep this outfit away from here. A company like this (worth 7 cents a share as I write) trades on the "penny stock" market, a haven for all sorts of risks per NASDAQ's assessment, which include "lack of information available to the public . . .no minimum standards . . . lack of history . . . [and lack of] liquidity." Stocks like this prosper--if they do--when some big news about their prospects suddenly disseminates through the world of brokers who use big announcements to hype their inventories of stocks worth a few pennies. Given the way company officials at Powertech honked loudly over the news a few weeks ago that the firm had just gotten approval from NRC for its Black Hills venture, you'd think some upside follow-through on the price of the stock was in the cards. The follow-through never happened. Tracking the stock at PWURF, you can see that since the NRC news came out, it has traded within a penny or two of its pre-announcement price, with this morning's market about unchanged from the day the news came out. My sense is that penny stock speculators, despite the NRC nod, know that approval is still a long ways off, considering that South Dakota-based hearings aren't even scheduled until August. Those who've owned this stock for several years now, having bought it back in '07 when it was around $4/share, and even those who bought in '11 at 50 cents/share, must be extraordinarily frustrated. The "bag-holder blues" is a very sad song indeed. I suspect shareholder frustration is what manifested into a laughably bungled effort at complaining about the media this week. My friend Cory Heidelberger in his blog (the best political blog in South Dakota, hands down) The Madville Times reports that officials at Powertech complained to the Nuclear Regulatory Commission about a Rapid City Journal editorial that faulted NRC's approval of the Black Hills mining venture. NRC, in wonderfully terse beauractic-ese, told Powertech to stuff it. Heidelberger provides a pdf copy of the entire e-mail exchange between the company and NRC. The old "blame the media" dodge is a time-honored political gimmick that I believe is generally used by the losers of a political tussle. I've never actually seen it applied to a situation from a private sector venture, and I doubt that Powertech will be setting any sort of precedent here. Indeed, if the incident follows form, Powertech will be among the list of losers who complained about the media as they morphed into the obscurity they deserved. Rick Weiland's campaign for the U.S. Senate is really missing the boat. I admire the feisty, "prairie populist" thematics that are delivered in a slick, if textbook-like fashion. That "take it back" slogan, the constant refrain during his statewide tour ("when you're running against big money you have to do a lot of walking"), the repetitious images of Rick and us ordinary folk--they're okay, I suppose, but basically just work on a superficial level. Rick's "us everyday folk" versus "them rich and powerful folk" scenario would hit home if American political life really did devolve into those simple terms. But it doesn't. Though I believe it's true that wealthy interests probably hold more sway when it comes to national policy decisions in this country, there's a missing aspect of that phenomenon that needs to be considered before condemning big money as the root of all political evils in the United States. Today I stumbled on to a recent study by a pair of profs, one from Princeton, the other from Northwestern, that looked at polling and policy data from 1981 to 2002. Its conclusions do indeed square with the notion that policy supported by people in middle and lower income brackets has much less of a chance of implentation than policy supported by wealthy Americans. Nothing contra-intuitive there, and to that extent Weiland is getting it right. Where Weiland's message is out-of-synch with reality is the way it lumps wealthy interests into some sort of monolithic, unified political juggernaut bent on making life miserable for ordinary Americans. This actually is way off the mark. The politics of big money simply don't congeal that way. CNBC's Robert Frank writes a nice critique and analysis of the study I reference and calls attention to the fact that for every right wing rich guy promoting schemes that Democrats abhor, there's probably a wealthy leftie advocating the opposite. As Frank notes, for every Koch there's a Buffett. I'd add that for every George Soros there's a Sheldon Adelson--and I'd probably be able to match Big Rich Lib with Big Rich Rightie for as long as necessary to make the point. Weiland's mentor Tom Daschle generally raised millions for his senate campaigns here in South Dakota and I don't recall Weiland or any other Democrats bemoaning the influence of Big Money when it suited their party's purposes back then. So what changed? Just the fact that Weiland hasn't been able to scare up 7-figure totals for his campaign now is about all I can see. Fact is, there's a lot of dovetailing when it comes to the interests of the wealthy with those of more ordinary incomes. Just running against wealth is not really running for a policy or against an ideology. Weiland so far hasn't clarified--at least in his mass media themes--what the differences are between him and Mike Rounds, his likely opponent. He has yet to challenge Rounds' tenure as governor and really hasn't made much of a case as to how he'd represent South Dakota more effectively than Rounds. This is the missing component of his campaign, and the sooner he makes voters realize how he differs in style and policy matters, the better will South Dakotans be able to judge who's the best guy to send to D.C.
"It Would Be Terrible If The Dead Came Back." An Easter Memo To The Political Status Quo. I love Herod's rant from Oscar Wilde's "Salome:" "He raises the dead? I do not wish him to do that. I allow no man to raise the dead. This Man must be found and told that I forbid Him to raise the dead. Where is this Man at present? . . . No matter! But let them find Him, and tell Him from me I will not allow Him to raise the dead! To change water into wine, to heal lepers and the blind . . . He may do these things if he will. I say nothing against these things. In truth I hold it a good deed to heal a leper. But I allow no man to raise the dead. It would be terrible if the dead came back." You don't need to embrace the spirituality of the Easter season to get its message. The story is the grandest metaphor of all time. To those leaders like Herod, who represent evil and injustice, it would be terrible indeed if the dead came back. The tale of the crucifixion and the resurrection is about who gets the last word, and the message of the New Testament is that the good guys do. It's a nice reminder as we greet the sunrise and the season. We've heard it enough, already, Republicans, and it's getting old. The hackneyed claim that President Obama is not merely anti-business but the most anti-business Prez in a good long while just doesn't wash: Obama's is "the most anti-business administration since at least Jimmy Carter", per Mitch McConnell. And then there's this ridiculous overstatement: "Barack Obama is the most antibusiness president in a generation, perhaps American History," according to Dinesh D'Souza, the outspoken conservative who has been one of Obama's harshest critics. D'Souza spoke at last week's big Republican dinner in Rapid City to what I'm told was a warm reception. I wasn't there, but have no doubt that he hammered on this theme during his presentation. As a Republican I know it's basic GOP dogma coming into this election cycle and will more than likely be repeated ad infinitum at political rallies all over the country as the mid-terms draw near. Personally, I think we Republicans are barking up a fruitless tree on this issue. Why? Because the economic facts of the matter simply don't jibe with the notion that business has been hampered in any way, shape or form since Barack Obama has been in office. Exhibit Number One? U.S. corporate profits as a percent of GDP are the highest they've been since at least 1950 ("the highest ever" per Robert Reich's facebook assertion this morning). Exhibit Number Two? Stock indexes have made sizable gains to new or near-new highs since Obama was first sworn in, with the Dow Jones Industrial Average more than doubling over that span. Exhibit Number Three? U.S. tax revenues since 2009, both in dollars and percent of GDP have been steadily increasing. Exhibit Number Four? The federal deficit as a percent of GDP is now a third of what it was in 2009. Frankly, as a good Republican businessman, I'm extremely pleased about how well things have gone since this "most anti-business" president has been in office. So what are we GOPers to do now that reality has undercut one of our favorite memes? Here's what. Let's reconsider that Reuters link on corporate profits which is accompanied by a chart on wage growth. The conclusion? Profits might be great but wage growth stinks. It's the lowest it's been in half a century. Though I refuse to conclude that correlation is causation, I know full well that Democrats jump all over these two data and believe they're connected. What's more, as political grist it's an easy conclusion to pitch in an era when class divisions and the natural envy they produce can be converted into political capital. My view is that Republicans can steal the march on this by talking up higher wages, either through minimum wage increases or incentives given to employers who are willing to raise them on their own. For one thing, profit margins have been so high in recent years that employers probably have plenty of financial room to start kicking up pay scales. For another, it's time for a certain moral imperative to be applied. Executives and managers have been making great money. Shareholders have been having a field day. But workers? Please. The current situation is pathetic and needs to be addressed. On a practical level, putting more money into the hands of mass consumers can only be a good thing in an economy that is about 70% driven by them and their household purchases. On a political level it would probably do a lot of good for Republicans who constantly have to fend off charges, bogus in my view even though they're effective, that we Pubs care only about the rich among us. GOP Support For The REINS Act Is Political Theater, But Pubs Are On The Right Track. I'm glad to see the GOP spreading its attention out a bit these days. As I've written recently, I think the single-minded pursuit of destroying Obamacare as a strategy coming into November's midterms has "loser" written all over it. I note that if not exactly following suit, my party's leadership is at least having similar misgivings, so it comes as no surprise to me that Republicans, including South Dakota's GOP reps in Congress along with GOP Senatorial candidate Mike Rounds, have brought a bill called The REINS Act (Regulations from the Executive In Need of Scrutiny) back into the political conversation. Under the bill, both chambers of Congress would have to sign off on any federal rules that carry an annual price tag of $100 million or more. The REINS Act passed the House of Representatives on pretty much a party line vote last August, but apparently stands little chance of even coming to the floor of the United States Senate, where, according to Rounds in a recent essay, it will likely die in committee under the direction of Democratic Senate Majority Leader Harry Reid. Rounds uses this as a pitch for gaining Republican control of the Senate, a state of political affairs that would be noticeably advanced if Rounds were elected to replace the retiring Democrat Tim Johnson. Besides some Constitutional issues raised by the bill--mainly due to the fact that it dilutes the executive authority of the Presidency--there's the mechanical requirement built into the proposal that's probably a deal breaker from the get-go. If Congress doesn't approve of a particular rule within a 70 day time limit, it is automatically rejected. Given all the political hurdles that Congressional agreements have to clear, that seems like a daunting task that effectively can kill federal rules by simply delaying any action on them. I'm not sure that even a Republican president would cede that much authority to Congress. Surrendering power is unbecoming to an executive at any level, much less the Presidency. All that notwithstanding, though, Republicans are smart to put the REINS Act into this cycle's political hopper. For one thing, I'm pretty sure the country's business community is likely to close ranks behind it. As there hasn't been much evidence that Obamacare has stunted business and economic expansion since it was passed in 2010 and implemented last year, I'm thinking that my fellow biz types are getting a little squirmy about so much GOP attention centered on it. Going back to the basics is a good move for the party, especially here in South Dakota, where agricultural interests are frequently chafing under rules (e.g. The Clean Water Act) imposed on them by federal agencies. A bread-and-butter issue like this is likely to be a winner in these parts, and Pubs should pound on it with some gusto. Rounds got "pounded" In Saturday's Debate. He Cancels The Rematch That Was Supposed To Happen Tomorrow. Wow. GOP senatorial candidate and former governor Mike Rounds took some lumps at Saturday's South Dakota Newspaper Association "debate" last Saturday, as I noted in my last post. One of the journalists on the panel of questioners, Jonathan Ellis of the Sioux Falls Argus Leader later posted on his site that Stace Nelson (the winner as I called it) used the occasion to "pound" Rounds. Ellis adds in his piece that Rounds' claim of balancing state budgets during his tenure as Governor has a major qualifier to it: Rounds sometimes had to draw on state reserve funds to bring the budget into balance, a practice that was abruptly put to an end by Rounds' successor, current Governor Dennis Daugaard. Daugaard's first budget was shorn of $127 million in spending in order to bring expenses into line with revenues, a gap that was routinely and blithely ignored by Rounds and his predilection to spend reserve funds to fill the hole. As Ellis notes, in Nelson's view Daugaard's is a truly balanced budget, not the chimera that Rounds presented to South Dakotans. I think most business types like me would consider a fiscal year that was brought into balance by diving into reserves a bad one, just because it is. Bragging to our friends, as Rounds has done to his constituents, that our enterprises are in balance is plain old baloney. Nelson has that one right, so given that on this issue Nelson occupied both the real and rhetorical high ground, he had the confidence to do the "pounding" that Ellis describes. I have no doubt that Rounds has some mitigating explanations as to how his self-declaration as a fiscal conservative squares with his inability to get revenues and expenses into line when he was governor. In fact, I was anxious to see how he dusted them off for presentation at tomorrow (4/15) night's gathering in Sioux Falls at the Siouxland Republican Women meeting, to which all the GOP senatorial aspirants had been invited. Per Cory Heidelberger over at the Madville Times blog, the meeting had been set up last Fall and Rounds had committed to attend last January. Heidelberger says that he was forwarded "an e-mail sent out by the SRW Saturday, at about a quarter to two in the afternoon [my note: that would be just after the debate in Pierre], announcing that a member of the Rounds campaign had just called and withdrawn from the forum. The SRW e-mail says Team Rounds had committed in January to attend, but "They will not be attending now due to a conflict." And just what is that conflict? Sources tell me that Rounds will be attending an opening of a campaign office in Rapid City on Tuesday. I'm sure the Rounds team has plenty of explanations about how this sudden conflict materialized, and I'll take them at face value when offered. However, I think it looks bad, especially coming so soon after the drubbing that Rounds took last Saturday. If Rounds can't confront his field of underfinanced and little-known rivals face-to-face in South Dakota, how on earth will he be able to play political hardball in the United States Senate? Whole thing looks pretty milque-toasty to me. More to the point, Rounds is cheating himself and the state's voters of a chance to explain the hows and the whys of many decisions that he made as governor that are at odds with the persona he's presenting as a candidate. For example, I still want to know why state government had to grow by 1500 employees while Rounds was in charge. Then there's that EB-5/Northern Beef Processors fiasco that occurred during his watch. Apparently, Rounds would rather be surrounded by his supporters instead of facing his rivals tomorrow night. Is this the kind of fighter he'll be if elected to the Senate? I certainly hope not. And The Winner Is . . . Stace Nelson. Way To Represent, Marine. Just got through watching the webcast of this morning's "meet the press" event, which drew all 5 of the GOP U.S. Senate primary candidates to a well-paced and -oganized round robin. Clear standout was one of the "minor" candidates, Stace Nelson, who until now hasn't impressed me much. I saw Nelson in a "debate" in Rapid City last Fall and found him unfocused, inarticulate and too easily drawn to his experiences in the Marine Corps, which he cited endlessly during tangents that drifted far away from the questions at hand. As an old "jarhead" myself, I was more than a little put off by it. Since then he has honed his campaign persona, remaining on-topic throughout. More compellingly, there were even outbursts of passion and charisma that lifted his personality to a level that commanded attention and clearly overshadowed the acknowledged front runner, former Governor Mike Rounds. As to Rounds, he got on my nerves with that "South Dakota common sense" meme that he must have repeated for what seemed like a few dozen times. Or was that a few hundred? I mean, like, we get it already, Mike. We're loaded with common sense in this state. Everybody knows that, right? Right. For example, we have so much common sense that our governor would never leave his successor with a $127 million hole in the state budget. And there certainly wouldn't be any call to add 1500 employees to state government during the course of two terms. No way are those facts the legacy of a common sense administration, right? Right. Must've been a momentary lapse of common sense that created those lines on your resume as governor, Mr. Rounds, although 8 years is quite a stretch to be considered "momentary." I guess with politics all things are possible. The rest of the field acquitted themselves in a so-so fashion, with Annette Bosworth revealing herself to be somewhat disconnected from political reality by calling for the abolition of the IRS. Ravnsborg was calmly articulate when discussing his view of the federal shutdown, Rhoden somewhat strident in his wish for eliminating direct federal aid to South Dakota's Indian reservations. The extreme positions laid out by Bosworth and Rhoden categorically eliminate them from consideration as credible candidates for the United States Senate. Of the four lesser, for lack of a better word, candidates, Ravnsborg makes the Constant Commoner's cut, as does Nelson, whose feisty provocation aimed at Rounds over the EB-5/Northern Beef Packers fiasco went essentially unchallenged. I doubt that today's "debate" will do much damage to Rounds' strong front-runner status because I'm guessing that few voters watched it, being on webcam and all. Just the same, it demonstrated that Rounds has clay feet and shouldn't be considered a shoo-in by any stretch as the inevitable stage of intense public scrutiny takes hold. Though his opponents haven't got nearly as much as Rounds has collected in the way of a war chest, money alone doesn't guarantee re-election in a small, word-of-mouth state like South Dakota. Ask Stephanie Herseth, whose nationally financed re-election campaign was upended by the little known Kristi Noem a few years back. Big GOP Senate Hopeful Confab Tomorrow. Mike Rounds Will Show Up. And So Will His Track Record As Governor. The South Dakota Newspaper Association tomorrow hosts a debate in Pierre featuring the five candidates for the GOP nod in June's U.S. Senate primary. The announcement from SDNA notes that the late morning start will originate in Pierre. From other sources I learn that it will be webcast by the Spearfish Pioneer Press and the Sioux Falls Argus Leader. Political junkies no doubt have the event circled on their calendars, but less-addicted, garden variety voters have something to watch for too. For one thing, much as I've been chiding front-runner Mike Rounds about not coming out of his shell and saying something substantive about current political affairs, it will be a relief to see the man actually responding to direct questions from real newspaper people. We've had more than enough of Rounds' canned commentary in front of friendly audiences and lavishly produced video spots full of the usual platitudes coming from a carefully cultivated persona in the safety of a studio. 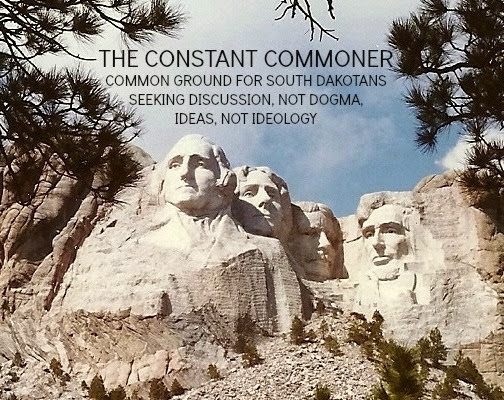 And it will also be good to see a gathering of the the secondary candidates, an earnest if somewhat quixotic group of contenders whose names generally show up only in pro forma mentions in the various media outlets in South Dakota (for the record their names are Bosworth, Nelson, Ravnsborg and Rhoden). In their way, these candidates are doing Rounds a big favor by diffusing some of the focus that would otherwise be directed at Rounds alone. Considering all the unanswered questions that have been raised by Rounds' tenure as governor (2003-2011), he should be relieved that tomorrow's 90-minute confab will have five candidates splitting up the time. That persistent and pesky matter of a failed SD government-sponsored and supported beef packing plant in Aberdeen will no doubt be brought up, but probably not in much depth given the number of bodies on stage, the considerable amount of policy ground that needs to be covered, and the limited time. Then there's the matter of a sizable hole in the state budget that Rounds left for filling by his successor, Governor Dennis Daugaard. And of course the growth of state government during his two terms has yet to be explained, considering that, as Democrats gleefully point out, it grew by 1500 employees while South Dakota's population remained virtually static. For one thing, Rounds should expand on his claim that he's a fiscally conservative Republican trying to bring some "common sense" to fiscal matters in Washington, given his spending proclivities while in Pierre. For another, Rounds can elaborate on just what he means by "common sense." As I'd say his front-runner status in terms of money and name-recognition probably makes him the favorite to win both the primary and the general election, it would be helpful to know if that means he'll be able to buck the national GOP establishment when it comes to matters affecting South Dakota. I note that GOP Senator John Thune recently went along with the extreme wing of the party when he voted against raising the federal debt ceiling, an unsuccessful initiative that, if passed, would have crippled the U.S. Treasury's ability to pay our country's bills and service our debts. That would have been devastating to a state as dependent on federal dollars (like, half the state's budget) as South Dakota is. I want to know if Rounds is also likely to be seduced by the extreme elements of the national party. Check back here for a post-mortem. Uranium Mine In The Black Hills Gets Federal Approval. Azarga Mining Is Elated. But Shareholders? They Still Look More Like Bagholders. Seems contra-intuitive, but I note that as of midday today, the company's stock price is up a whopping penny, from 7 cents/share to 8 cents/share. Examining the stock a little more closely, I see that its average daily volume for the last 3 months is around 400,000 shares/day. Sounds like a lot, but were talking about less than $30 thousand dollars worth of stock. In fact, the stock market thinks the entire company is worth $12 million, so meager an amount that the company acknowledged last Fall in its 3rd quarter report (see the link below) that the expenses of permitting alone might be enough to take it under. Obviously everything hinges on getting itself permitted to start operations in the Black Hills. So naturally, the company couldn't have been more breathless about announcing the NRC news. But as I examined the announcement I couldn't help noting that the required disclaimers (check it out yourself via the link) take up almost as much space as the announcement itself. My favorite sentence is the one that reads "Forward-looking statements consist of statements that are not purely historical, including any statements regarding beliefs, plans, expectations or intentions regarding the future." Get that? That's regulatory-ese for "don't believe everything that you read." As iffy as the company's self-touting may be, I was really struck by the new Chairman's comments last February 26 regarding the permitting timeline. He said that permits should be completed within 90 days thence. Lessee, 90 days from last February 26 would make May 27 the target date for the permitting process to be done. Hmm. Not sure how he came up with that, considering that the State of South Dakota will be holding hearings on this next August, per the March 9, 2014 edition of the Rapid City Journal (sorry, couldn't get the link to work). There's no way permitting could be done before then, never mind by this coming May 27. I invite company officials in the area to comment here on this mis-statement, which, intentionally or not, gave investors the wrong impression about the company's regulatory progress. Do you see now why lengthy disclaimers are required when listening to company touts blowing their horns about how things are going? All in all, it's not much of a surprise that investors are remaining wary about the Black Hills venture. Powertech surprised them and everybody else when it abruptly wrote down, by 85%, the value of a Colorado property during last year's 3rd quarter. That property had been one of company's centerpiece assets up to then. Last year's blow to the enterprise's credibility certainly hasn't been enhanced by its new chairman's claim that permitting is going on much more rapidly than it is. I won't say the company's reputation is shot, but there's a reason people won't pay more than a few pennies a share for a company whose principals think so highly of themselves and their company's prospects. Suddenly, It's Not About Workforce DEVELOPMENT, Gov. Daugaard. It's About Workforce RETENTION. The worker shortage in South Dakota that caused Governor Daugaard to cast "workforce development" as one of his top priorities in January just got a bit more acute. Today's Rapid City Journal notes that the gloves have come off in the chase for construction workers in the area, with North Dakota making aggressive efforts at copping South Dakotans for work in their surging oil boom counties. Job fairs sponsored by a coalition of ND labor unions will soon be held in Sioux Falls, Aberdeen, Pierre and Rapid City. The competition will be brutal from South Dakota's perspective. The RCJ notes that industry wide, construction jobs in ND pay 20% more than their counterparts in SD. A laborer up north makes $3/hr more than a laborer here in SD. Something tells me those job fairs will have some success in luring workers away from their homes in South Dakota. Of most concern should be the potential loss of those younger workers, many of whom probably have yet to put down family and career roots. Getting situated early on in North Dakota runs the risk--a probability in my view--of losing them forever. I think at this point the Governor should concern himself less with developing a workforce, more with holding on to the one we have. Considering that we're already in last place when it comes to median wages in this region, this will be a challenge. Actually, it will be more like a Herculean task. True, competing for workers with North Dakota will trigger a private sector supply/demand reaction which would have the effect of raising wages here. And to some extent, letting the free market do its thing has a nice laissez-faire quality to it, one that suits Republicans by nature and philosophy. But we don't live in a laissez-faire world, a fact as much attested to by Daugaard's commitment of tens of millions of dollars to economic development via the Building South Dakota initiative, as by the existence of the Governor's Office of Economic Development itself. The conundrum, of course, is that you can't go into "building South Dakota" mode without some workers doing the actual building. And you can't keep workers here by paying them lousy wages. I noted a few posts ago that there's a noticeable migration of South Dakota technical school grads to other states. Southeast Tech in Sioux Falls sees an out-migration of nearly a third of its grads, likely to greener pastures in nearby Minnesota and Iowa, where wages are substantially higher than in South Dakota. This raid by North Dakota seems like a natural development, everything considered. And while it's true that Governor Daugaard can't raise wages in the state by anything like an executive order, some initiatives from Pierre could make us more competitive. Unequivocally supporting a raise in minimum wages could create a "bottom-up" force in raising wages generally. Along with that, a serious commitment to increasing salaries for the state's teachers would likely convince some people that rearing their children here would give them access to some of the best teachers in the region. That we're in a "teacher crisis" situation was even picked up by the conservative Washington Times a few weeks ago. When the right-wingers at WT notice that South Dakota isn't spending enough on teachers, our generally conservative elected officials here should take note. We're an embarrassment among conservatives around the country. Get that? Conservative circles are even noticing how cheap we are when it comes to paying teachers. I'd say lousy wages and poorly paid teachers are a deadly combo when it comes to retaining, much less developing, our workforce. Is there a solution? Yes. Kick wages up and pay teachers more money. Kristi Noem Says She's Working To Save 2.6 Million Jobs. Congressional Budget Office Says She's All Wet. South Dakota Congresswoman Kristi Noem keeps flogging away at the Affordable Care Act, along with legions of her Republican colleagues in the House of Representatives. Yesterday she was on Rapid City's KOTA-TV claiming that 2.6 million workers are "at risk of having their hours cut as a result of the Affordable Care Act." To head off this--in her own mind--catastrophic occurrence she is among many co-sponsoring the Saving American Workers Act. The Act would force employers to provide health coverage for workers putting in 40 or more hours a week instead of the 30 mandated by ACA. Noem told KOTA , "hopefully this will help any employees seeing their hours get cut to have those restored." Apparently the feeling is that many employees who are now at or above the 30 hour/wk threshold will have their hours cut back to 29 or fewer so their bosses won't have to give them mandated coverage. I've been researching this and can so far find no data that supports that conclusion, though I have no doubt that anecdotal instances are out there, just like there is anecdotal evidence to support almost any claim. Though I have my doubts that this would occur on a widespread basis, I invite readers who have some data contradicting my doubts to send them here. What I don't get about this bill, though, is that it simply raises the hourly threshhold at which employees could be reduced in order to save employers from having to pick up their health insurance. If an employer would no longer be able to reduce from 30 to 29 the number of hours to escape ACA mandates, what's to stop him from reducing a 40-hour employee down to 39 in order to accomplish the same thing? Seems to me it just raises the bar even as it wipes out employer coverage for all those now in the 30 to 40 hour work bracket. I think this is a way to get even more workers taken out of the ACA pool. Checking out the Congressional Budget Office's website, my hunch was confirmed. CBO's study concludes that the bill is a loser. It says that 1 million Americans would lose their work-provided health insurance, half of them being forced to find an ACA plan on their own, accept Medicaid or sign on to the Children's Health Insurance Program. The other half, according to CBO, wouldn't get any health insurance at all. The various provisions involving penalties and costs associated with the bill would drive up the federal deficit by $74 billion, per the CBO report. Some fix. I think we can expect Noem and her fellow Republicans to turn up the hysteria volume on the Affordable Care Act in coming months. The trend is not their friend when it comes to the economy, which has been plugging along, what with the stock market at all time highs and the nearly 1 million jobs that have been created since ACA came into being. The job numbers are particularly notable considering they've been added during one of the most devastating and economy-dragging Winters in memory. I notice that the federal deficit relative to Gross Domestic Product (deficit to GDP ratio) is at 3% this year, compared to 9% in 2009. That's a huge drop, actually. Tax revenues are up significantly over the past few years, a sign of a strengthening economy. And as I noted yesterday, a Washington Post/ABC News poll just showed more Americans supporting ACA than opposing it for the first time. As a Republican I'm chagrined over this, because so many powerful themes that my party can run on have been set aside, if not entirely ignored, due to this mass self-absorption with destroying ACA. Can I name a few? You bet. Dealing with student loans would be a great place to start, considering the effort would be directed at young people. Then there's immigration reform--remember that? And how about pushing back a little on the war on coal, which will cost many South Dakota utility rate payers money this year, maybe a couple of hundred bucks/yr per household. There are others, plenty of them. I'm sick of hearing about all the ACA-bashing, myself, and wish my party wouldn't be so focused on it as the midterms draw near. Running Against Obamacare Is Soooo Overrated. Yesterday's Obamacare enrollment deadline wasn't particularly apocalyptic. Seems like American civilization as we know it will go on. Stock markets--representing the business community that supposedly has been all agog about the advent of the Affordable Care Act--had a nice rally today, continuing their flirtations with all-time highs. They don't seem too shook. Same way with commodity markets, which provide the raw materials for all those businesses that are supposed to be materially affected by the enrollment requirements of ACA. They're stable and humming along at healthy, if not record breaking, levels. They look to the future and they see no disruptions in the market or the economy. As to those death panels, I haven't seen any. Have you? Fact is, I doubt that the country's transition to ACA, despite its glitches and "let's make it up as we go along" quality, will do much to upset this country's equilibrium in any meaningful way. I've never really had strong feelings about the ACA myself, mainly because I couldn't completely understand the thing, but who couldn't miss all the political histrionics it engendered? I believe the U.S. House of Representatives has voted over 50 times to repeal it, no doubt with the unwavering support of our South Dakota Republican Kristi Noem, all to no avail. And just yesterday, Wyoming Republican Senator John Barrasso was on national t.v. complaining that the Obama administration had "cooked the books" in counting up the 7 million enrollees in ACA. It was an attention-getting charge, but he presented no evidence to back it up. Still, the rage is there, so much so that the GOP intends to make its hatred of the ACA the focal point of its midterm strategy this November. Personally, I think the Republican Party is fighting for a lost cause on this one. Speaking as a Republican who is more the businessman than party ideologue, I think we have to deal with the world as it is, not how we want it to be. For one thing, this repetitive and tiresome act of trying to repeal it in Congress will probably go nowhere, given President Obama's veto power and the unlikely event that enough votes could be rounded up to override his veto should a repeal vote pass both houses of Congress. For another, all the horror stories the Republicans have been pitching about ACA don't seem to be materializing. A nice piece in Yahoo Finance today lays it out pretty well. For example, the Republican-generated hysteria about mass layoffs coming because of employer mandates doesn't explain how 900,000 jobs have been created since ACA came into being last October. Looking ahead, the Manufacturers Alliance For Productivity And Innovation is sanguine. Last month it told Industry Week "manufacturing will grow faster than the overall U.S. economy, according to MAPI. It expects manufacturing production to increase 3.2% in 2014 and 4.0% in 2015." These kinds of increases occur with job growth, not massive layoffs. Republicans should be listening to their core constituents about their outlook for a society with ACA. And if manufacturers aren't enough to seal the deal that ACA is likely here to say, listen to what the U.S. Chamber of Commerce, which represents 3 million retailers thinks. Chamber President Tom Donohue said last January, "we have to devise ways of making it work." This strikes me as the kind of pragmatic attitude that the GOP should adopt, mainly because I think the firestorm of contempt for ACA is beginning to wear itself thin. Yesterday's ABC News/Washington Post poll showed more Americans favoring it than opposing it for the first time, which I believe will be a trend that continues as people get used to the idea of dealing and living with it. If Republicans think they can tap into a groundswell of rage against Obamacare, they're making a big mistake.